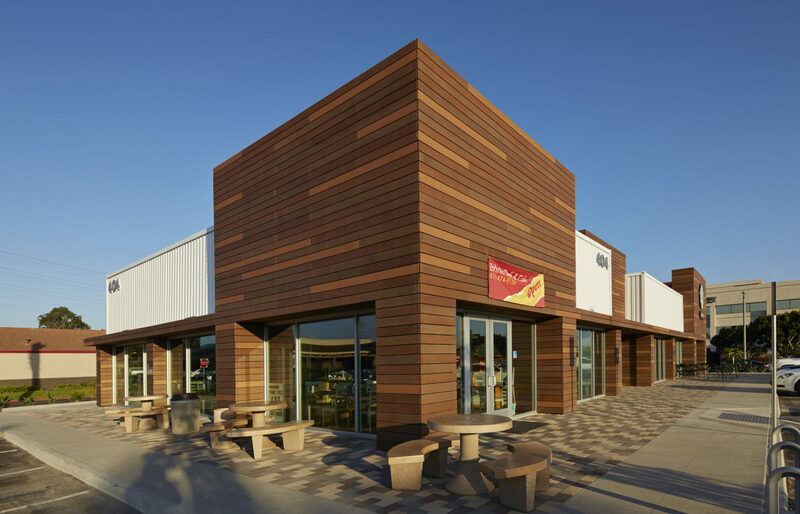 The Southport Business Park renovation consists of the complete exterior renovation of a freestanding multi-tenant building fronting the Mile of Cars Way in National City. 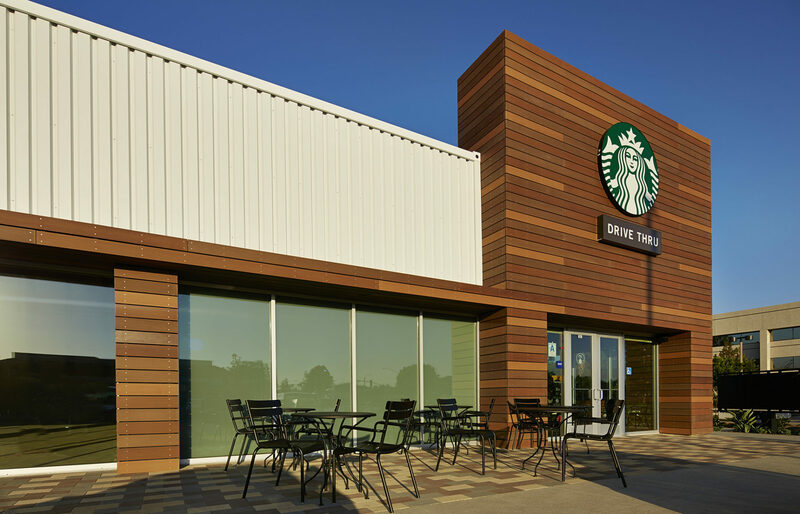 The exterior skin of the building was completely removed and replaced with metal siding, complimented with Resysta wood paneling. 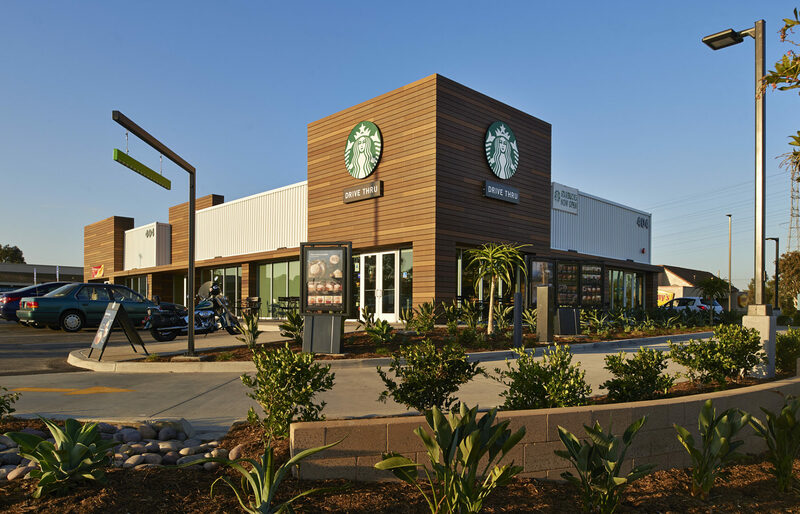 Additionally, the building features new tower elements as well as a drive-thru component for the new Starbucks. In addition, extensive site work was completed in order to accommodate and construct the new building drive-thru element. Construction took place while keeping an existing tenant, located within the subject building, open and operating for business. In addition, all other business located within the residual business park remained open and operating during construction. The subject building is part of the larger Southport Business Park and ownership plans to continue the improvements throughout the entire business park.